Renault launched its Lodgy MPV in 2015 here in India. It never caught customer’s eyes and ended up being one of the very low performing product for Renault here. Now, Renault is developing a new MPV for our market. This new Renault MPV is expected to be based on the new CMF-A+ platform, which is an advancement to the CMF-A platform on which Kwid is built. 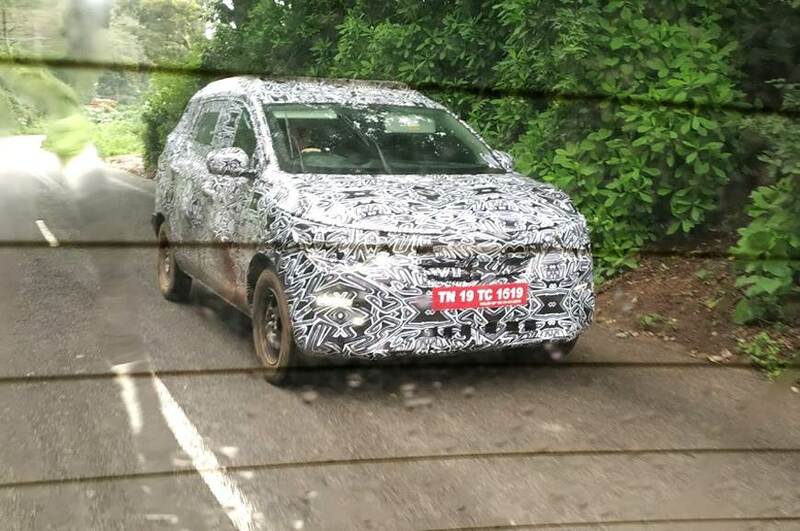 The car was spied testing recently in Tamil Nadu (source). The new MPV is expected to be positioned in a lower segment than the Lodgy. The speculation is, it will be placed in the upper end of the mid-size hatchback segment, similar to the Datsun Go+. Being part of this segment, the car will be smaller than the Lodgy but would have a wheelbase long enough to support 3 rows of seats. The car is expected to have a look on the lines of Kwid but will feature bigger wheels and arches to give it a beefier feel. Also, the car will have features like LED DRLs, wash & wipe on the rear, ABS, at least dual airbags and rear parking sensors. On the inside, the car is expected to get an all-new design but, might share some equipment with the Kwid like the infotainment system. The car is expected to be powered by an updated version of the Kwid’s 1L petrol motor. This might get a turbocharger as well to provide the grunt needed to power a 7 seater. There are speculations that Renault might not offer a diesel at all as it does not have such a small motor and will definitely not think of developing one. We also can expect the car to get an AMT gearbox, in addition to the manual one, as it is already available on the Kwid. The car once launched, will compete with the Datsun Go+, Honda Mobilio and to certain extent Maruti Suzuki Ertiga. One thing to notice here is, apart from Ertiga, none of the other cars on the list has performed very well. It will be very interesting to see if the new offering from Renault will change this trend.